NAU-Yuma will mark its 20th anniversary Feb. 22 by celebrating a successful past and planning for an innovative future. Northern Arizona University President John Haeger will lead a Town Hall discussion on “The Role of the University in Regional Economic Development,” and a community block party with food and music will feature booths highlighting faculty and student research projects. Northern Arizona University has recommended that English professor William Grabe, who has served NAU in a variety of positions for nearly 25 years, be named Regents’ Professor, the first university recommendation since 2004. As part its standard monthly Windows update to campus computers, ITS will automatically upgrade campus systems with Internet Explorer 7 Thursday, Feb. 14. Users may notice some changes to the web browser, such as a new location for their “Favorites” under the star button. ITS recommends reading a quick overview of Internet Explorer 7 online. Questions can be directed to the ITS Solution Center at (928) 523-1511, or ask-ITS@nau.edu. 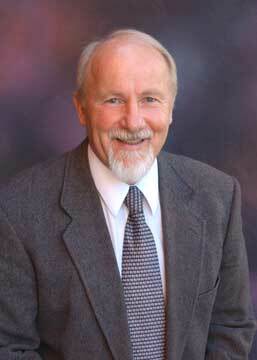 Michael Irven Ratliff, a mathematics professor at Northern Arizona University for 32 years, died on Feb. 4, 2008. He was 63. Dr. Ratliff chaired the Department of Mathematics and Statistics from 1981 through 1986 and from 1991 through 1992. The Classified Staff Advisory Council is seeking nominations for its annual Peer Recognition Awards. The awards recognize outstanding classified staff who consistently provide exceptional service to students, faculty, colleagues and the public. Awards are based solely on peer nominations. Nominations are open to all classified staff who have at least one year of continuous service with the university. Nomination forms are available online and are due Wednesday, Feb. 20. Winners will be announced at the annual NAU employee mixer March 12. Electronic W-2s are ready. Those who signed up to have their W-2 delivered electronically can now go directly to https://www.getmyw2.com/nau/ and use the account and password that you created to get your W-2. Employees who did not sign up to receive their W-2 electronically will receive them in the mail. The paper W-2s will be mailed no later than Jan. 31.